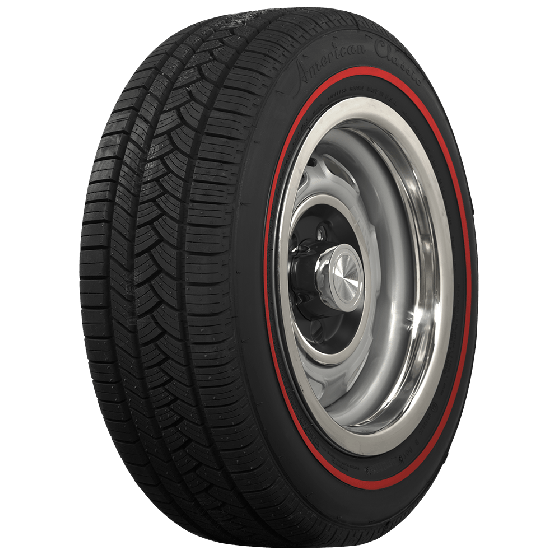 The muscle car era started many trends in the American automotive market, and the Redline tire is one of the very biggest. 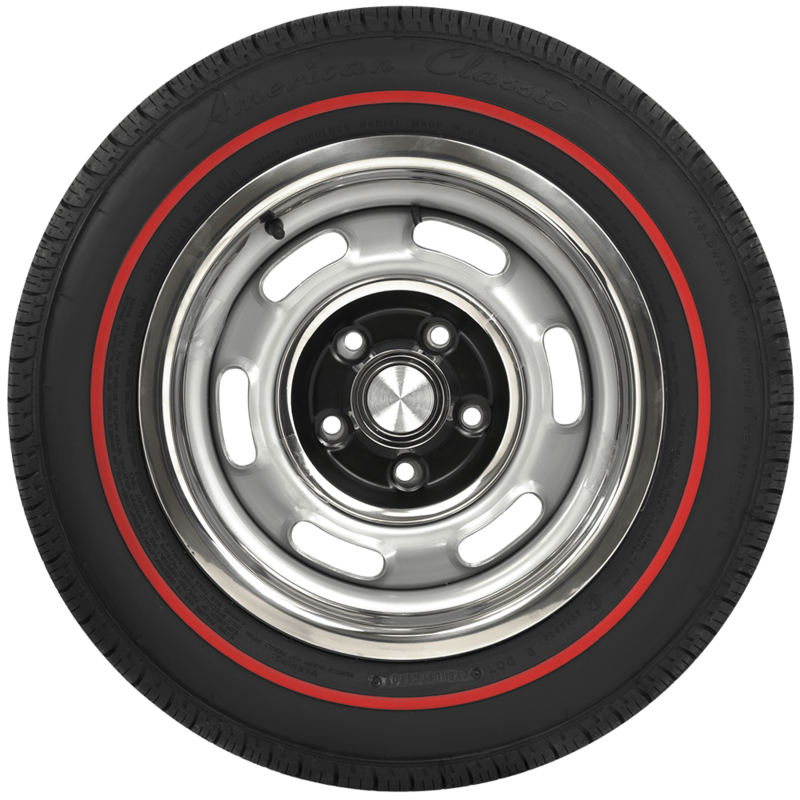 This modern version of red line tires is perfect for your muscle car resto-mod, or even a late model performance car. An asymmetrical tread pattern offers great dry and wet traction, while an H speed rating provides reliable performance for many applications. 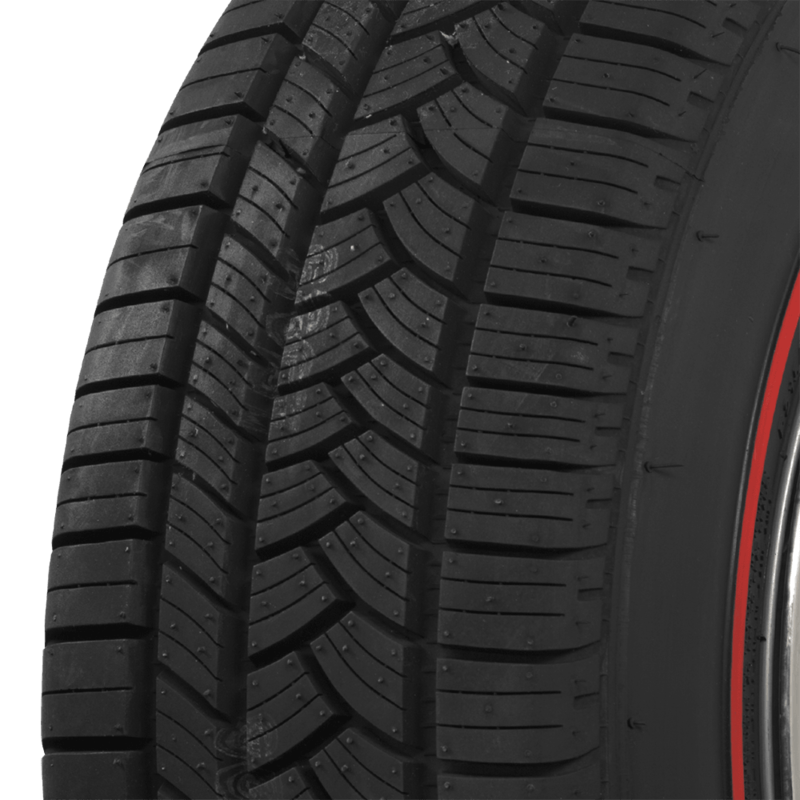 The 3/8-inch raised redline is built into the tire from day one, so it is sure to resist fading or cracking. 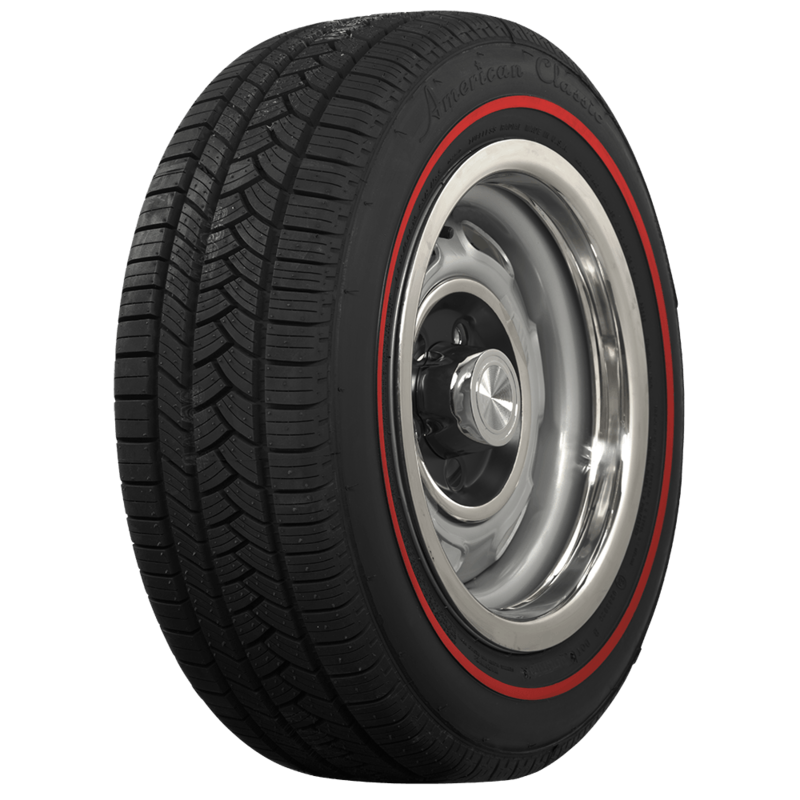 American Classic Redline Radial tires are made in the U.S.A. and are DOT and ECE (European Community) approved. Please note that dimensions listed tread width, section width and overall diameter are non-scientific and based on an inflated tire, mounted on a wheel. Dimensions may vary due to rim width and inflation pressure. The overall diameter is 25.67". See "Specifications" for this and all other relevant dimensions. your add says NOS tires are not intended for use on the road...... for show only? That is correct. NOS stands for New Old Stock. These tires have never been mounted, but they are old enough that we would not be comfortable with you driving on them. will this fit my PT Cruiser it has 205 50 16. We will need more information such as model year and trim level to determine if this tire is compatible. Please contact us at 1-800-251-6336, or support@coker.com.